How to beat inflation to ensure returns on your investments for your retirement? 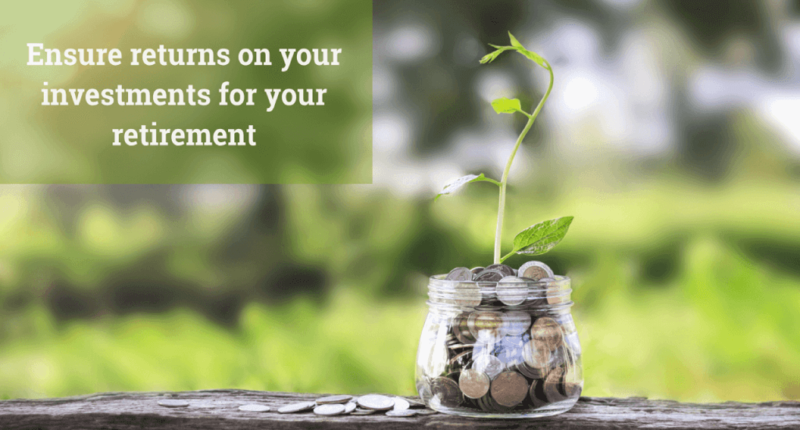 Contributing long term investment for your retirement involves adjusting between risk with reward - the more risk you take, the more rewards you ought to anticipate. But in accomplishing this adjustment you must also beat the biggest threat that is - INFLATION to attain your goal of resigning fiscally secure. Inflation is the continuing rise in the rates of goods and services with the decline in purchasing power. It influences all parts of the economy, from consumers to business owners and to government programs, tax policies, and financing costs. It affects every one of us. However, it may take some significant period of time for the inflation to creep in and impact your financial goals. For example, consider the price of movie tickets when you were a kid which was around Rs. 10 to the price of the movie tickets today which costs somewhere around 120 to 350 Rs. This leap in the price didn't occur in just one day but took nearly 20 years to increase gradually. The cost of a movie ticket won't seem like a major ordeal. However, when you apply inflation to every single living cost-expense, you can perceive how important it is that your money grows at least as fast as the inflation does. How can you beat inflation? As per the historical statistics, your money should grow each year at the average rate of 3% in order to hold similar incentive in the future. Moreover, in the event that you failed to make an integrated plan for beating inflation, you might eventually find that you didn't save enough, invest enough or take enough calculated risks to meet your financial goals. Often this acknowledgment comes as reality to investors when they don't have enough time to think about it. One of the best approaches to build your potential returns and enhance your possibility of beating inflation is staying invested for a long term in the market. You can even enjoy great perks offered by the company such as dividends, bonuses, etc. Thus, a right long-term investment can ensure that your money is compounded over time so as to beat the inflation in your retirement. When it comes to investing in financial schemes, investment strategy plays a very crucial role in dealing with the ups and downs of the market. In order to protect your investments from market volatility, you must diversify your assets. 1. A diversified portfolio has less risk factor than the centralized investment. 2. Investors can get the exposure of more risky types of investments without even increasing their comprehensive risk level. A balanced and proper allocation of all of your assets enhances your risk tolerance by overcoming the volatilities in the market. Dividends are essentially the rewards or cash money that a company gives to its shareholders. In other words, they are basically 'the part of profit' or 'cash in hand' that an organization shares with its investors. Moreover, all the dividend incomes are tax-free for investors. Therefore, purchasing stocks that pay good dividends is one of the best ways of staying ahead of the inflation. Much like inflation, dividends can also be calculated yearly. The examples of good dividend paying organizations in India are SBI, TCS, Infosys, Hindustan zinc, Wipro, PFC, ONGC, BPCL, HPCL, REC, and IOC etc. You might be wondering - what does exercise need to do with inflation? Keep in mind that medical service costs are rising significantly, much speedier than inflation. Regular exercise and healthy eating habits can enable you to beat those expanding costs. A healthy lifestyle can also help you to increase your self-esteem and conviction, which can decidedly influence your abilities at work and increase in your potential. You might feel some solace by knowing that your investment in a savings account is very safe and you won't lose any money by investing in it. But the long term effects of inflation could conceivably cause your 'sheltered' savings fund to lose its assertions. Remember that an investment in stocks or other such schemes is not an easy or effortless task. It needs education and constant reviewing. And above all, it is risky. Need Help with Investments to Beat Inflation? How to Save Income Tax for Salaried & Professionals for FY 2019-20?